On EMp(http://www.emp.co.uk/art_365698/?wt_mc=pt.tt.276316.0.12.0.).. by “Availlable from 28/08/2017, what do they mean ? If i buy it now, i’ll be sure to receive it later ? EMP have gone to town with their mark-up price. 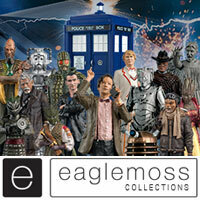 Has anyone ordered from emp.co.uk before as I was wondering if it is a reliable website to order from. I got Rory from them a few days ago. It arrived very quickly and I was very pleased with the service.The only downside is that there is a delivery fee but as FP have sold out of Clara if you want her in the UK then EMP if your only option right now. I’m in the US and Hot Topic emailed me this morning saying they had them in stock for online ordering. Called the local store, they had them in stock too so I stopped in and picked it up. Nice and easy. No hunting involved. You’re in the US. It is easier to find SDCC exclusives there when they are so widely shared with places like HT, Barnes and Noble, Walmart, Target etc. Just bear that in mind Derek. I definitely understand. 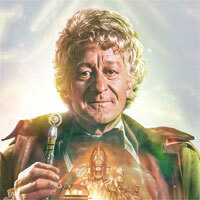 I’ve been a fan of DW since the 70s and for many decades getting anything DW related in the US was near impossible. 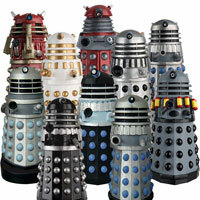 Looks like Clara has sold out. Will these still be available after the 28th July? Actually, after the madness of the last few hours it appear’s that FP have the wrong information. At about 12PM they were showing the image of the Limited Edition from the SDCC with the SDCC Funko Limited Edition Sticker. That has now changed to an image of the 2017 Summer Convention Exclusive Sticker which isn’t Limited at all – Although they are advertising it as such. 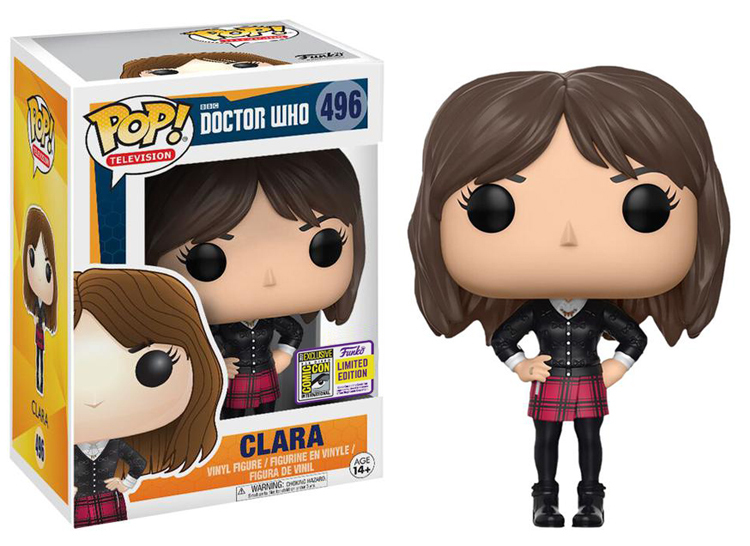 The images shown on Hot Topic have the Summer Convention Exclusive version with the Clara featuring a stand. 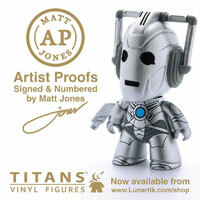 Glad I managed to Order one – But slightly annoyed that it is not the actual SDCC Limited one. 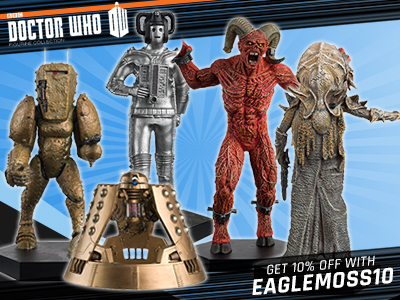 BBC for one started blocking “SDCC exclusives” out side of SDCC, thats why those titans were pulled and probably the 11th Doctor/ Oswin set as well. BooBoo, what titans were pulled and where from? That’ll be because fpi sorted the problem by then! Cheers for the heads up. First Funko Pop I’ve bought in the last year, but quite like collecting the SDCC exclusives. Didn’t realise the previous ones were quite so rare! Got an Email from Sagepay and FPI with my seven digit code. I can take a breather now lol. You got through yet Booboo? Good. I’m going to keep the box for this one. I get the feeling it’s going to be an Ebay job to get hold of this one from now on once it sells out here. Managed to order one!!! Feel quite lucky! Hope everyone else’s gets through!!! Actually I’m not sure as it’s not appearing in my account… but I have a confirmation email… Booboo what would you recommend?? I’ve only got an email from SagePay and nothing from FP what do I do? I’m the same. I’ve emailed them as they couldn’t help me on Facebook. Confirmation from sage but nothing from FP… Do they have my order or not? Same happened to me but I got an order confirmed email so I assume it went through -maybe check yours? 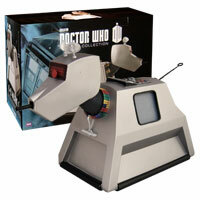 Has Anyone actually managed to order this from Forbidden Planet International Today ?????? Because I cant manage to get past the checkout stage !!!!!!!! I’ve been trying to complete checkout since 12:05 today (around 1 hour) and still haven’t managed to get through !!! shall I keep trying ????? IT WORKED !!! I JUST MANAGED TO ORDER ONE AROUND 1 HOUR AFTER I STARTED !!!! IF IN DOUBT JUST KEEP TRYING AND YOU MIGHT GET THROUGH !!!!!!!!! Yaaaasss, I had to order my items separately because it crashed that often. I went for the Fantastic Beasts Occamy first and that was quite a challenge and then finally the order processed and I tried for the Clara, it was quite frustrating though because I paid the sage pay £0.01 it crashed again, and I thought it hadn’t went through, so I almost tried to buy it again- until I saw the order confirmation email. Overall, I know this happens every year with the SDCC pops, but I feel like they should have handled it better. So is this likely to become rare like the 12 in Spacesuit pop or will it just be released commonly with an exclusive sticker and a higher price? Ughh! I’ve been trying for the last hour to get one but the site keeps losing connection. Love it though because the suspense is brilliant! Haha. Best thing about collecting. Ironic that a lot of people hate Clara Oswald, but still want a figure of her. Theres no logic in that. It’s more that people feel she’s badly-written, or over-focused on. 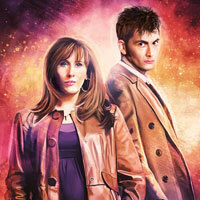 She still has a recognisable look, and outfit, without being the most popular of companions. She also has a lot of fans who genuinely love the character and have wanted this figure forever. I’d imagine most of the figures will be bought by people who liked Clara (and then some by collectors who just want every figure regardless of whether they liked her or not). I love Clara! 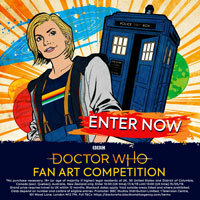 She’s one, if not my favourite companion and I for one can’t wait for this! & no response from the numerous messages I’ve sent to Funko asking about it either! 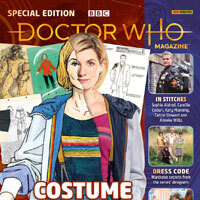 I’d love a figure of Clara with any of the post-Deep Breath costumes but I guess this is seen as a safer bet by many toy companies, especially if they don’t have current plans for multiple variants – it’s the one “crossover” outfit, meaning that the figure will potentially appeal to both those who want to display the figure with Eleven and those who are buying her to accompany Twelve. When they say it will be shared does that mean it’s not limited edition then? Oh thanks. I really want this you see. This is the one I’ve wanted for a while. Also I’d like a Bill. It’s going to be shared. Don’t worry. 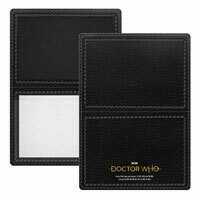 Will this ever be available to purchase on Amazon or somewhere in the UK? Funko confirmed it will be shared. Is it possible there will be more for SDCC? Look great! Will try and get this at some point. Booboo, do we think there’ll be a new 5.5 at SDCC? I’ve only got 1 pop, the 12th Doctor one, so this would fit perfectly!